Our 2017 Winter Maintenance swimming program is now opened for registration. Same as last year, we have booked 2 hours on Saturday and one hour on Wednesday at North Surrey Recreation Centre Indoor Pool. The first swimming date for Saturday is September 16 and the first swimming date for Wednesday is September 19. 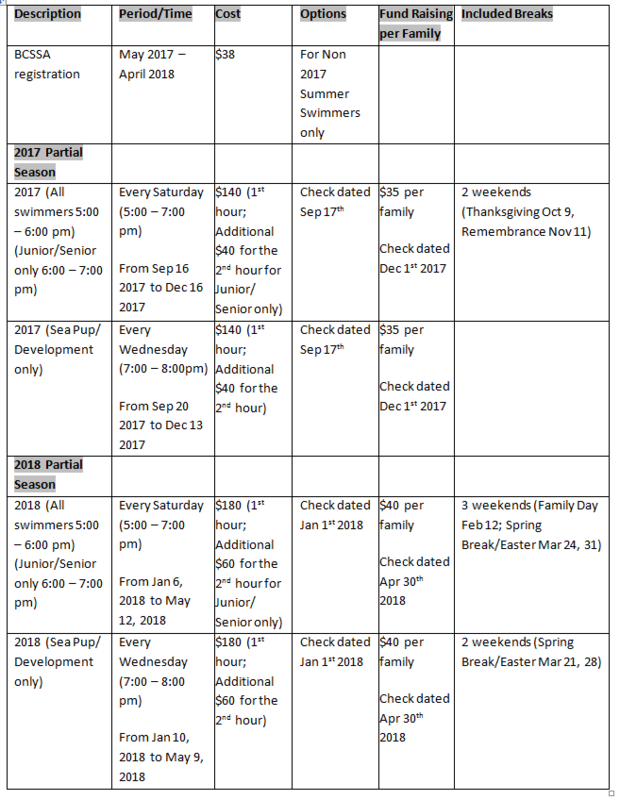 On Saturday, the first hour (5:00 to 6:00) is opened for all swimmers and the second hour (6:00 to 7:00) is intended for Junior and Senior group only. For the hour on Wednesday evening (from 7:00 to 8:00), it is reserved for Sea Pup and Development purpose. 10% discount can only apply to 3rd/4th/5th child who registers the whole Full Winter Maintenance Season. 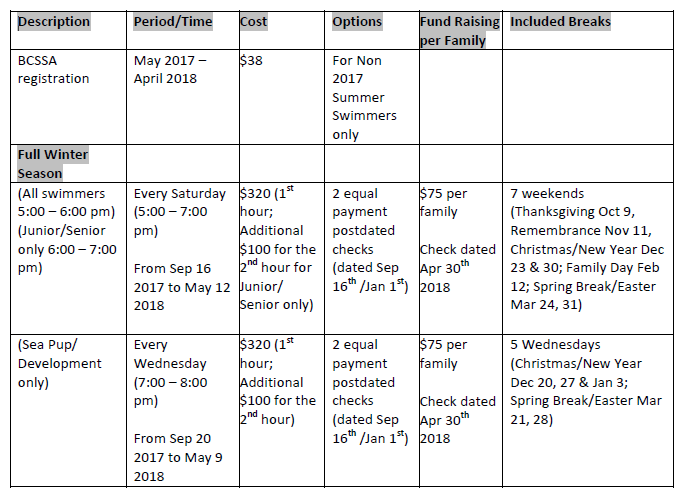 For registration, download registration form at http://www.surreysealions.com/forms.html ; come to North Surrey Recreation Centre Indoor Pool at our swim time; bring DOB certification documents (such as BC Care Card or Birth Certificate) and the required money. Checks should be payable to “Surrey Sea Lions Swim Club”.